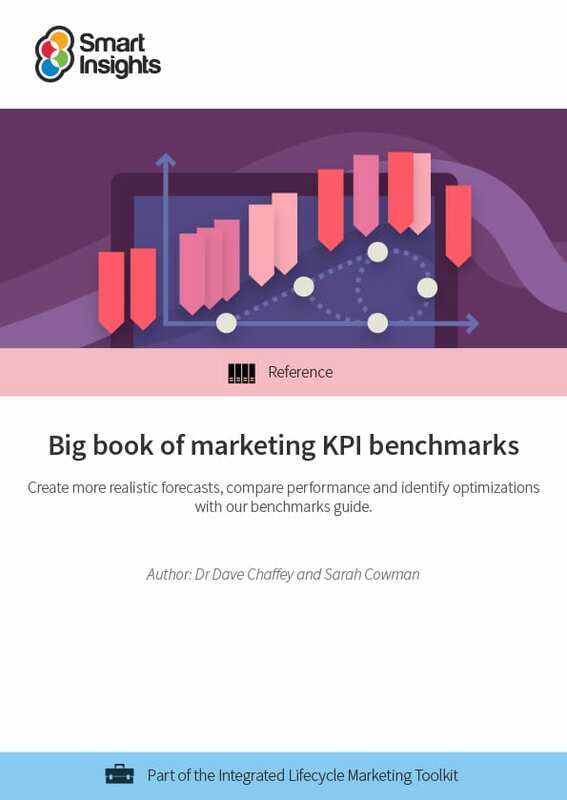 Create more realistic forecasts, compare performance and identify optimizations with our benchmarks guide. One of the main benefits of digital marketing is that it enables marketers to measure their activities more closely than ever before. Your marketing can become more data-driven and analytics more actionable. It’s important to be able to forecast and review your return on investment and digital media supports this well. However, understanding which KPIs (Key Performance Indicators) to use for different types of digital media and platforms can be a challenge, particularly for less experienced digital marketers. There is also the challenge of benchmarking compared to others in your industry: ‘What does good looks like?’ and ‘How do we compare?’ are common questions you hear. The range of KPIs that are typical for different types of media and in different industry sectors such as B2B, travel, financial services and retail. 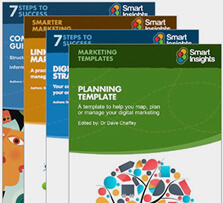 This guide is structured around measures used to review marketing activities across the Smart Insights RACE planning framework, that’s Reach, Act, Convert and Engage. Format: Long form and example accompanying spreadsheet. Dave is co-founder of Smart Insights. He is editor of the 100+ templates, ebooks and courses in the digital marketing resource library created by our team of 25+ Digital Marketing experts. Our resources used by our members in more than 100 countries to Plan, Manage and Optimize their digital marketing.